The Canadian Immigration Council is a proud member of the Immigration Consultants of Canada Regulatory Council, ICCRC, and one of Montreal's most distinguished firms specializing in immigration services of all kinds including permanent residency under the Quebec Experience Class program (PEQ). The Canadian Immigration Council is one of the oldest, and most reputable Canadian immigration consulting firms, specializing in Canadian immigration law, and is based in Montreal, Quebec, Canada. Our practice specializes in all areas of immigration law, including the Quebec Experience Class Program, work permit applications, permanent resident applications, student visa applications, landed immigrant applications and Canadian citizenship applications. We also provide a full range of immigration litigation services via our network of immigration professionals which include regulated immigration consultants, accountants, lawyers, paralegals, business advisors and other specialists in a variety of fields. 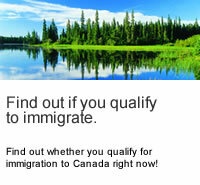 The Canadian Immigration Council, has been voted #1 immigration Consulting firm by the prestigious Leger & Leger group for three successive years, for providing exceptional immigration services, and for helping potential immigrants worldwide to realize their dreams of immigrating to Canada. The Quebec Experience Class Program, or PEQ for “Programme de l’expérience québécoise” is an accelerated immigration program that allows international students, or temporary foreign workers, to apply for Immigration to Canada and to establish themselves permanently in Quebec. The process for the PEQ is even more simplified than the CEC (Canadian Experience Class), and applicants will be able to qualify sooner under the PEQ than under the CEC, thereby enabling them to come to Canada quicker. Under the Quebec Experience Class Program, a foreign student, or temporary foreign worker, can apply for a Quebec Selection Certificate, or CSQ for “Certificat de Sélection du Québec”, which is a document that allows the holder to immigrate to Quebec, and to take advantage of the social benefits associated with immigrating to Quebec. Under the Quebec Experience Class (Programme de l'expérience Québécoise, or PEQ), there are two categories: one for foreign students, and another for Temporary Foreign Workers. Applying to immigrate to Quebec under any category is a two-step process in which an applicant first applies for Certificat de Sélection du Quebec(Quebec Selection Certificate, a document that allows the holder to immigrate to Quebec, commonly known as a CSQ). Once the applicant obtains a CSQ, he or she must then submit their application to Citizenship and Immigration Canada for federal approval before their Canadian Immigration (Permanent Resident) Visa can be issued. Federal immigration authorities are responsible for processing criminal and medical checks. 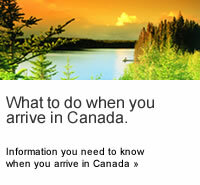 Immigrating to Quebec allows permanent residents to live in Quebec, or to relocate anywhere else in Canada. The amount of settlement funds required is lower. Once an applicant successfully passes the Quebec immigration interview, they will receive a CSQ, thus confirming successful completion of the Quebec selection process. Recent changes in the federal immigration law in Canada did not affect the immigration legislation of Quebec and applicants who have received an immigration visa through the program of Quebec can live anywhere in Canada. Richard Serour, President and CEO of the Canadian Immigration Council, is recognized as one of Canada's leading immigration professionals and advocates. Mr. Serour has devoted his life to working on behalf of people around the world wishing to immigrate to Canada. As an experienced immigration specialist, Mr. Serour has helped thousands of families come full circle from the dream of coming to Canada, to becoming permanent residents, and ultimately to becoming proud Canadian citizens. With his experienced staff and network of consultants, lawyers, paralegals, and other support specialists, the Canadian Immigration Council has turned many people's dreams into reality. To say it best, would be to quote Canada's Prime Minister Stephen Harper who announced to the world that, "Canada is the place where people want to come and stay, to learn, to pursue opportunities, to raise children, to enjoy natural beauty, to open new frontiers, to set the standard for the world for a high quality of life; a Canada that is a leader and example to the world." We invite you to take advantage of our online assessment today.